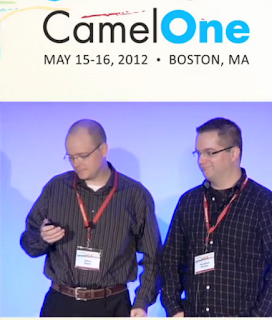 The CamelOne conference took place last month, which I have previously blogged about. As promised by FuseSource, who was hosting the conference, all the presentations were videotaped. And now those videos have been processed and made freely available on the CamelOne website. Jonathan and I had the pleasure of doing a light keynote of how we got involved with the Apache Camel project, talking about how the project has evolved over the years, and has become so successful. Since returning home, I have enjoyed watching the videos of the presentations I didn't have the pleasure to attend. In the FAA presentation you will see a live demo of their real time weather tracking program called SWIM. It has a fantastic Google Earth interface, so you can see a map of USA, and then drill down to the various airports and see how the weather impacts the flights. There is a lot of great content in all the videos. And I encourage you to take a look. 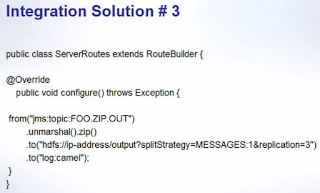 For example Robin Howlett, shows us how to use Camel and AWS together, and does live coding etc. And if you are curious what Fuse Fabric is, then I suggest to look at the presentation from Ioannis, who is the lead architect on the project. And Hiram unlocks the mystery of the Apache Apollo, and why its such a great leap forward for the next generations of message brokers. And if you think HTML5 apps is the future, then I suggest you watch the presentation from Charles where he talks about Camel, ActiveMQ, websocket and HTML5 apps. 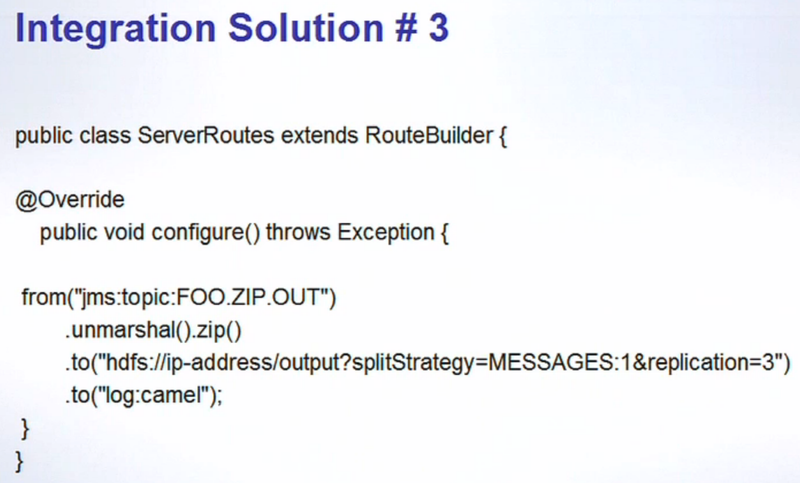 If you are getting started with Apache Camel, then you may wanna watch my presentation. Its a very practical presentation with a lot of live coding, and showing how you can get started with Camel from scratch. And there is a lot more. See for yourself at the CamelOne website. Published at DZone with permission of Claus Ibsen , DZone MVB. See the original article here.